Do my teeth look okay? During the eighteen months during which I have been a Wilberforce Student, I have met many notable figures. By last Christmas the college had hosted two MPs, an MEP, a baron and a bishop. Today, though, we had an astronaut. Colin Michael Foale CBE PhD has experience of six shuttle missions, and holds the record for the most time spent in space by any UK citizen. Today he gave a presentation about his career path to being an astronaut. He originally believed that only pilots could have gone onto space missions, but instead found his way in as a scientist. He attended Queens’ College, Cambridge, attaining a first class degree in Natural Sciences and later a doctorate in Laboratory Astrophysics.Twice he unsuccessfully applied to NASA. Dr Foale showed us footage of the Challenger disaster in 1986, when a shuttle blew up barely a minute after launch and killed all seven occupants. After the disaster, Foale told us, enthusiasm for space only grew. He told us that for his third application essay he abandoned talk of his lifelong dreams and instead focused on the difficulties that the administration then faced, particularly relating to the crash. He was accepted in 1987. He may have fixed a space station, but can he master Power Point? During his tenure Foale suffered catastrophes of his own. He gave a graphic account the time in 1997 when the Progress M-34 supply craft collided with the Mir station. Ordinarily the Progress ships used the Kurs radio telemetry system to facilitate its docking procedures. This was manufactured by the Kiev Radio Factory, and following the dissolution of the Soviet Union it fell under the jurisdiction of the independent Ukraine, whereas most other things relating to space flight were inherited by the Russian Federation. The Russian Federal Space Agency was at the time facing severe budget cutbacks due to economic troubles and resented having to pay its former constituent republic vast sums of money for the use of Kurs, and so wanted to examine the option of going without. This particular docking attempt was therefore done under the TORU system – meaning that the ship was controlled manually with a camera and two joysticks. In his presentation, Dr Foale told us (with the aid of his own amateur footage) that the pilot had misjudged the angle of approach, with the result that M-34 damaged Mir‘s solar panels and punched a hole in the Spektr module. Foale was sent into the Soyuz escape craft with the expectation that Mir would be abandoned. He recalled the sensation of his ears popping as the interior began to de-pressurise. Instead they stayed on board to insert a hatch over Spektr’s entrance to seal of the other modules. This stemmed the air leak, but getting it into position required the uncoupling of several cables, with the result that the station lost power. It was also tumbling in space, its orbit having been disrupted by the collision. Foale used his scientific education to analyse the movement of the stars past his window, and from that worked out how to stabilise the station using Soyuz‘s rockets. Eventually power returned when Mir drifted back into sunlight. We were also shown some of the comparatively mundane realities of living in space. Videos were shown of Foale exercising with bungee straps in lieu of gravity, and of drinking water from a floating sphere. The students also saw a fly-through tour of another space station, showing crew at work and internal walls lined with sacks of spare underwear. When the presentation proper concluded, Dr Foale took questions from his audience. I asked him what he saw in the future of manned space travel, and he told me to look out for inflatable hotels arriving next year. He also said that things would really kick off when valuable materials could be mined from other planets. After about ten minutes of questions and answers, the fire alarm went off. In contrast to the instant evacuations which that noise would normally trigger, staff went out to investigate before confirming that we had to leave. 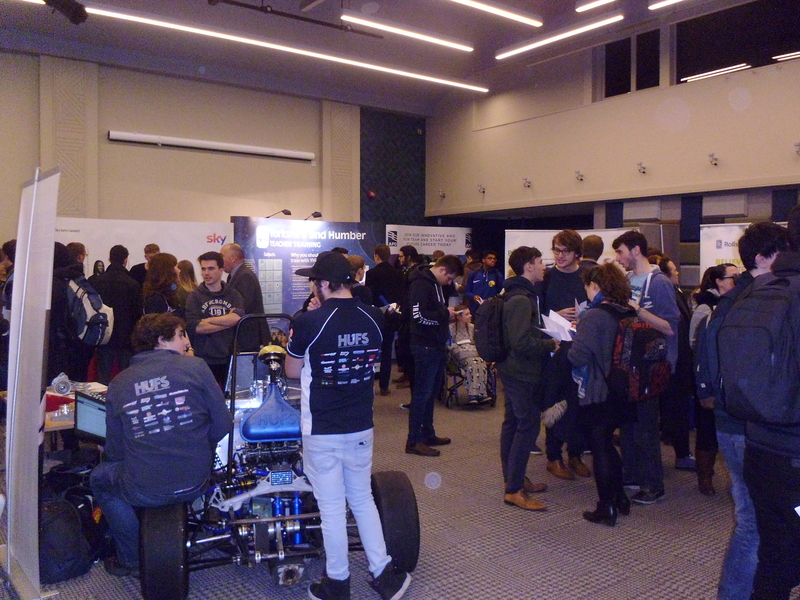 The presentation informally concluded in the car park, where Dr Foale took some more questions from passers-by and stopped for some group photographs. Following the all-clear, our guest went back indoors for an interview with BBC Radio Humberside. I and three other students followed him so that we could be interviewed as well. 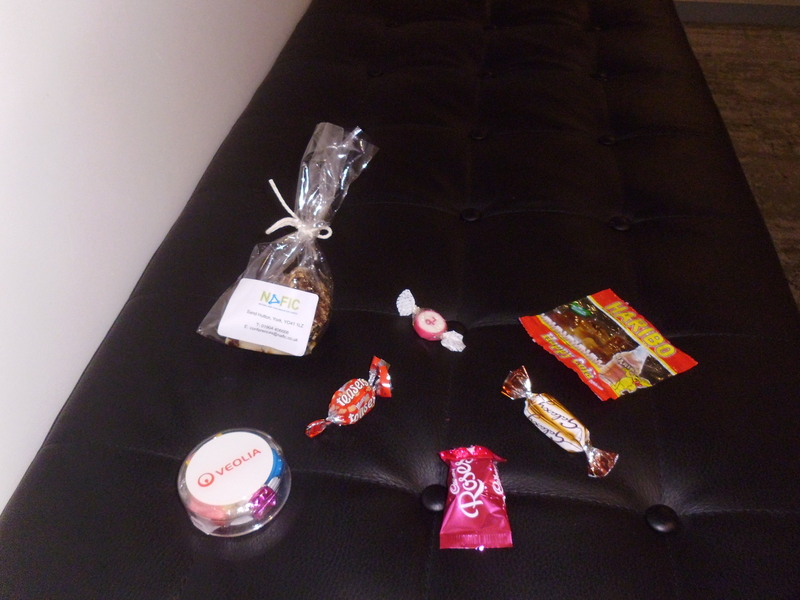 That evening our visitor did another presentation, though for paying external guests rather than Wilberforce students. 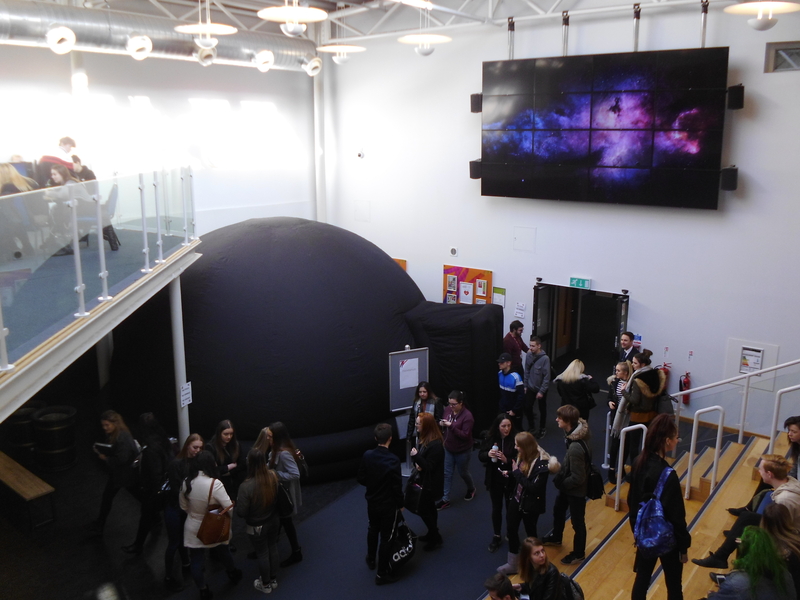 Throughout the day we also had a planetarium, lent to us by the University of Hull, set up in the atrium, and visiting pupils from other schools in the area. Dr Foale was accompanied in his visit by Chris Barber of the International Space School Educational Trust. He advised us that if ever we set up an organisation we should look for a more memorable name. He also remarked that the demolition of two of his former residences showed the degree to which Hull honoured his legacy. 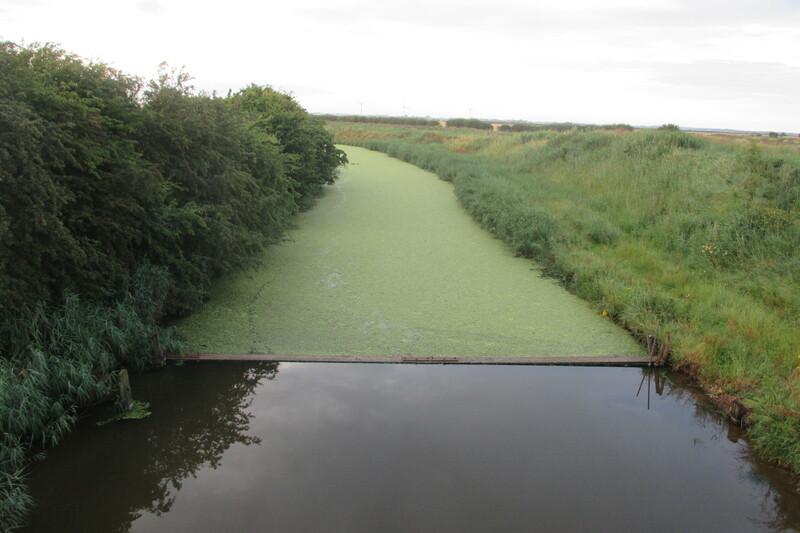 Keyingham Drain is entirely green on some days. The algal bloom is a problem in many lakes and rivers. In the wrong weather conditions, a body once teeming with life can quickly become an water graveyard if certain organisms cannot be controlled. An algal bloom is a rapid increase in the population of algae in an aquatic system. There is no fixed benchmark for when an algal growth becomes a bloom – some say the concentration should be in the hundreds of cells per millilitre, some say it should be in the thousands. A bloom occurs when a body of shallow, slow-moving water has an excess of phosphorus and nitrogen nutrients, usually caused by fertiliser leakage or waste-water. This leads to green plants and algae growing at an increased rate at the expense of other organisms. In particular the algae can clump together to form a gelatinous blanket on the surface of the water, which blocks out the light of the sun. The then-permanent darkness means that the plants beneath the surface can no longer photosynthesise, with the inevitable result that they perish. Their corpses are devoured by decomposers. The sudden abundance of food allows these organisms to grow and multiply rapidly, and they consume the oxygen in the water which – in the absence of photosynthesising plants – cannot be replaced. Once the oxygen is exhausted the fish and aquatic insects within the water body die off and the internal ecosystem collapses. Beneath the garish top layer, the water is devoid of life.